This year T.G.I. 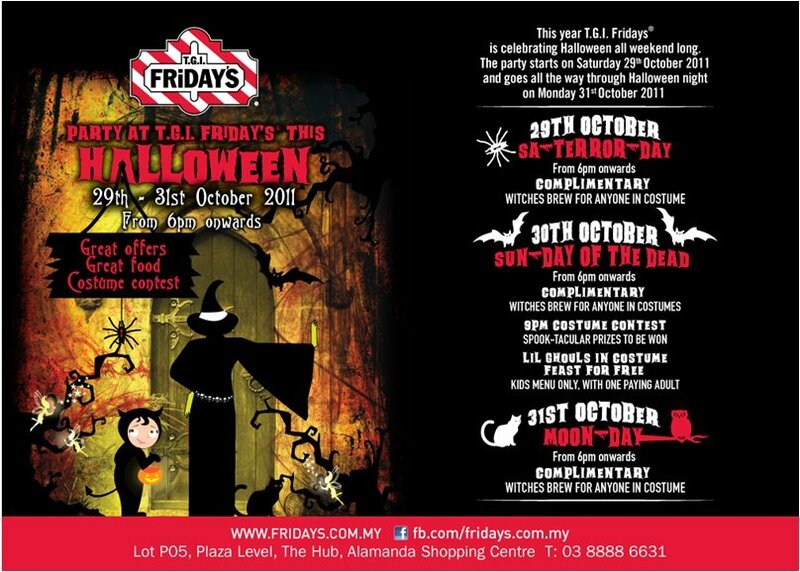 Fridays is celebrating Halloween all weekend long. Kids menu only. With one paying adult.